Indonesia has enjoyed solid economic growth since 2010, supported (until recently) by strong exports of primary commodities, in particular fuels and minerals. In contrast with the commodities sector, the manufacturing sector has lost competitiveness and the country has struggled to nurture broad-based industrialization, including through integration into international production networks. 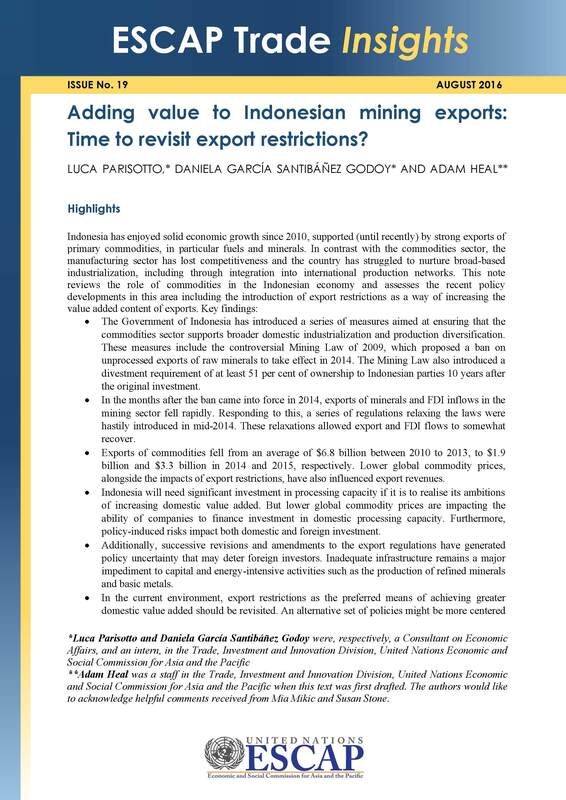 This note reviews the role of commodities in the Indonesian economy and assesses the recent policy developments in this area including the introduction of export restrictions as a way of increasing the value added content of exports.